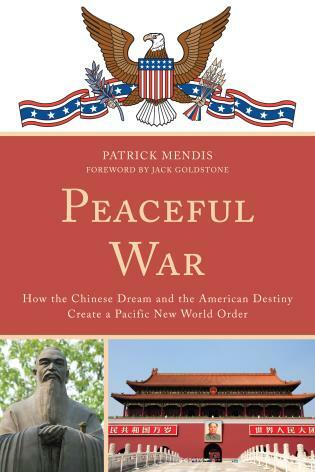 Peaceful War is an epic analysis of the unfolding drama between the clashing forces of the Chinese dream and American destiny. Just as the American experiment evolved, Deng Xiaoping’s China has been using “Hamiltonian means to Jeffersonian ends” and borrowed the idea of the American Dream as a model for China’s rise. The Chinese dream, as reinvented by President Xi Jinping, continues Deng’s experiment into the twenty-first century. With a possible “fiscal cliff” in America and a “social cliff” in China, the author revisits the history of Sino-American relations to explore the prospects for a return to the long-forgotten Beijing-Washington love affair launched in the trade-for-peace era. President Barack Obama’s Asia pivot strategy and the new Silk Road plan of President Xi could eventually create a pacific New World Order of peace and prosperity for all. The question is: will China ultimately evolve into a democratic nation by rewriting the American Dream in Chinese characters, and how might this transpire? Patrick Mendis is a distinguished senior fellow and an affiliate professor of public and international affairs at George Mason University’s School of Public Policy. He is also a distinguished visiting professor of international relations at the Center for American Studies of the Guangdong University of Foreign Studies in Guangzhou, China. An alumnus of the Harvard Kennedy School of Government and the Humphrey School of Public Affairs at the University of Minnesota, Dr. Mendis has worked for the U.S. Departments of Agriculture, Defense, Energy, and State as well as the U.S. Senate Foreign Relations Committee, the World Bank, and the United Nations. He is a commissioner of the U.S. National Commission for UNESCO, an advisor to Harvard International Review, and a fellow of the World Academy of Art and Science.